We (Laura, Rahnya) are a group of kids dealing with exclusion on the playground. 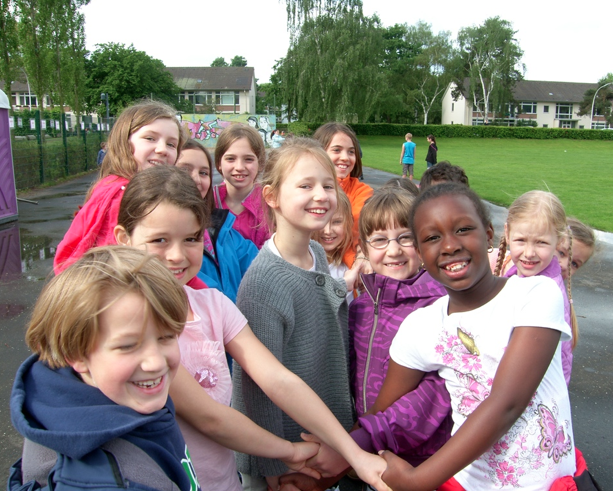 We work with other kids to prevent exclusion from happening by running inclusive games for everyone to play. When we are playing these games, we develop our cooperation and teamwork skills. To go further, we have created a pack of rules for how to play inclusive games.We believe that if we try to encourage everyone to play these inclusive games, we will reduce a large amount of exclusion. Download a Free Collection of Inclusive Games! We chose these games because they are inclusive, they prevent exclusion from happening, and most importantly, they are fun! Also, they develop cooperation and teamwork skills. We believe that if you are not taught to include when you are young, you may be in danger in continuing to exclude, even as an adult. An easy program to take on, we hope this inclusive, educational and fun action will inspire you to make a difference. That’s why we need to start to make a change. Beginning today!